Delphine Minoui, a recipient of the Albert-Londres Prize for her reporting on Iraq and Iran, is a journalist and Middle East correspondent for Le Figaro. She is the author of several books in French. I'm Writing You from Tehran is her first book translated into English. Born in Paris in 1974 to a French mother and an Iranian father, she now lives in Istanbul. "Delphine Minoui's poignant new book is a love letter, by turns devastating and joyful, to a country and a people whose history is deeply intertwined with that of the West. Lucidly observed and passionately explored, the Iran of her telling will be a revelation as much to the expert as to the uninitiated." "[Delphine Minoui] relates, with the scrupulousness of a notary clerk, the banal, the frightening, and even the marvelous . . . [She] measures everything. And these precise measurements taken over the course of all these years deliver an Iran full of the essence both of humanity and of the divine." “A very beautiful book . 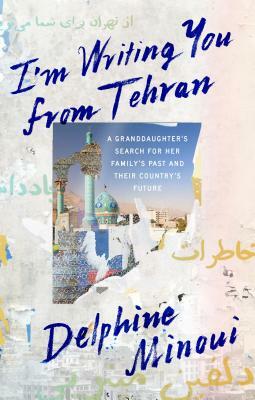 . . [I'm Writing You from Tehran] crosses personal history with contemporary Iranian history."